It started as a simple heist. It went to hell from there. On a space station orbiting a pale blue sun, a package changes hands. Data too sensitive to transmit will be exposed for one brief moment. The client is paying a crazy sum - if the job is clean. That's not going to happen. Instead, the galaxy's unluckiest crew of outlaws will have to put all their resources into salvaging what they can from the job. Even if it's only avoiding blame for the fallout. 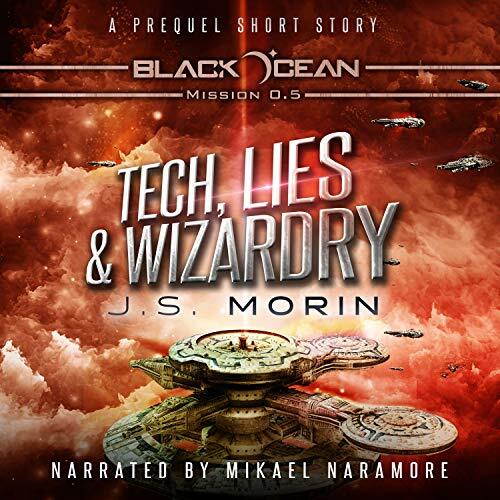 Tech, Lies, and Wizardry is a sampling of the hijinks you'll find in the 26th-century's greatest outlaw space opera, Black Ocean. Throw a copy in your cargo hold now.